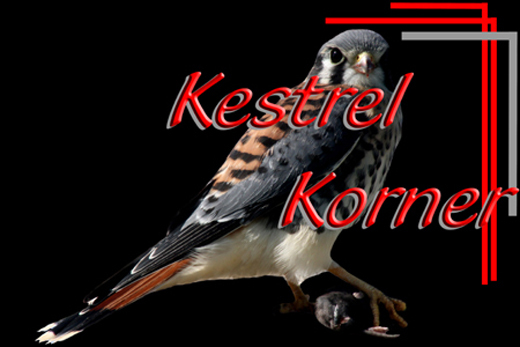 This page is dedicated to the ongoing research of the American Kestrel falcon. To educate us all in the preservation of this pint sized raptor. Hope you enjoy learning about this beautiful bird. Over the past several years Nu-Sun Cinema has studied American Kestrel Falcons (Falco sparverius). For years we studied them from a distance and logged all our findings. In 2014 we decided to put a small camera in our nest boxes and produce a live stream hoping to see the world inside. In 2015 we went to HD with the cameras and live stream. It was incredible and we have continued to HD live stream since.. The Peregrine Fund- American Kestrel Partnership click here to link to web site in Boise Idaho USA. The Partnership consists of Naturalists, Citizen Scientists & Professional Scientists to advance the conservation of the American Kestrel. Our 2 nest boxes are registered in Canada and to our knowledge the only ones which have a live steam. The links to the left will guide you to a better understanding of the American Kestrel Falcon (Falco sparverius) and our ongoing yearly LIVE STREAM. The links will keep you informed and on this web site. They will give access to highlights of previous years and to the live stream.